Finesse hooks and top-waters put big bass in the boats of Rapala® pros this year, from one end of the country to the other. Key baits in numerous top-10 Bassmaster tournament finishes were VMC® Neko Hooks, Terminator® Walking and Popping Frogs, Storm® Arashi Cover Pop, Chug Bug® series and Top Walkers. Key fish in the Bassmaster season came also on VMC Stand-Up Shaky Head Jigs and Sureset Drop Shot Hooks, Terminator Pro Series Jigs, Rapala BX® Brats and Shadow Rap® series. VMC, Terminator and Storm are all Rapala Respected Brands. 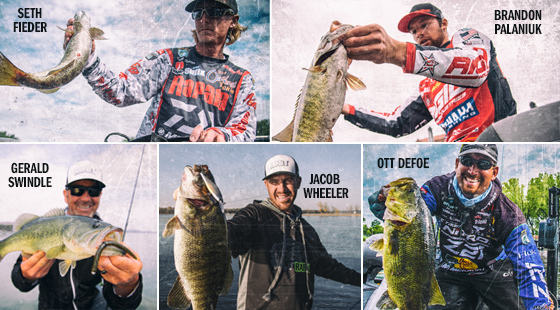 With such a wide variety of great baits in their arsenals, three Rapala pros finished in the top 10 of the Bassmaster Elite Series Angler of the Year race. Ott DeFoe finished 4th, 2017 Angler of the Year Brandon Palaniuk placed 8th, and Jacob Wheeler finished 9th. Rapala pros Michael Iaconelli and Seth Feider finished in the top 20, at 17th and 18. More than 100 anglers competed in the Elite Series this season. Starting with the Bassmaster Classic in February, 2018 was another strong year for VMC’s Neko Hook. 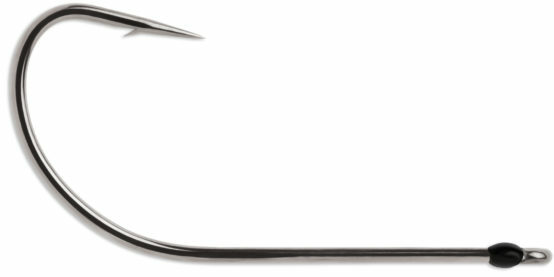 First, Classic Champion Jordan Lee credited a VMC Weedless Neko Hook for keeping key bass buttoned on (a notable shout-out, considering he’s not sponsored by Rapala or VMC). Wheeler finished seventh in the Classic, having caught several key fish wacky-rigging a Weedless Neko Hook. Then in June, Wheeler drop-shotted VMC Finesse Neko Hooks to place 7th in a Bassmaster tournament on South Dakota’s Lake Oahe. He finished better than 101 of the best anglers in the world – many of whom didn’t catch a 5-bass limit on one or more days, often due to fish coming unhooked boatside. In an August Bassmaster derby in New York, smallmouth were again hard to keep hooked for anglers who didn’t arm their drop-shot rigs with VMC Neko Hooks. But losing fish wasn’t an issue for Palaniuk and Feider, who used the VMC advantage to place 7th and 10th out of 107 competitors. 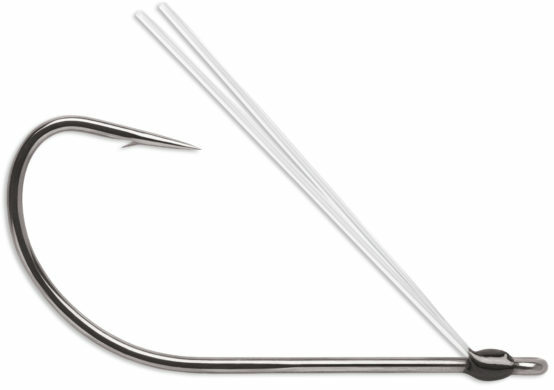 Neko Hooks, Weedless Neko Hooks and Finesse Neko Hooks all feature a black-nickel finish, wide gap, 3-degree offset point, resin-closed eye and a forged, long shank. “The diameter gauge on it is perfect, it’s super sharp and it’s got that little offset bend to it, which is key,” Feider said. Fishing in his first-ever Bassmaster Classic in February – in only his third year on the Elite Series – Feider placed 18th out of 52 world-class anglers. In addition to a wacky-rigged Neko Hook, his key bait was a Terminator® Popping Frog. “By varying your retrieve cadence and how much slack you give it on the stop, you can make a Popping Frog attract fish in different ways,” Feider explained. In June, a Bassmaster tournament on the Mississippi River between Wisconsin and Minnesota became a “Frog Fest.” Three Rapala pros threw Terminator Walking Frog Juniors en route to top finishes in the 107-angler field – Randall Tharp (3rd place), Wheeler (5th) and DeFoe (13th). At 2-1/2 inches, the Walking Frog Jr. is half an inch shorter than its big brother, the Terminator Walking Frog. “When bass are feeding on smaller forage, they’ll often eat the smaller frog better,” DeFoe explained. In September, DeFoe scored big again with a Walking Frog Jr, winning his third Bassmaster Open on Tennessee’s Douglas Lake in as many years. “It was subtle, it stayed in the fish’s face and I could fish it anywhere I could throw it,” he said. Terminator Walking Frogs feature a custom VMC frog-gap hook that hugs the bait’s body so snugly that it’s virtually snagless, even in heavy cover. “I was skipping that frog over limbs, under overhanging trees, root balls and undercut banks, little shade pockets, and then working it as slow as I could,” DeFoe said after his most-recent win on Douglas. All three Terminator frogs feature lifelike detail from nose to skirt. Each is tail-weighted to increase casting distance and stability on the retrieve and features lifelike round-rubber legs and heavy-duty welded line ties. They each include a drain hole that removes water before every cast. Fishing more methodically than the competition helped Rapala Pro Gerald Swindle to a 2nd-place finish this June in a tough Bassmaster tournament on the Sabine River system in Texas. Supplementing a deliberate finesse game with a Storm Arashi Cover Pop topwater retrieved “painfully slow” was a difference maker, rewarding him with two 4-pounders. “The slower I fished it, the bigger they got and the better they got it,” Swindle said. In September, Wheeler and Palaniuk slung some other Storm topwaters to place third and ninth in Bassmaster action on Lake Chatuge, a reservoir on the Georgia-North Carolina border. Wheeler threw a size 11 Rattlin’ Saltwater Chug Bug in the Metallic Silver Mullet color pattern. Palaniuk threw a size 13 Arashi® Top Walker in the Pro Blue pattern. Both baits mimicked one of Chatuge’s main forage species, blueback herring, which doesn’t generally relate to the lake bottom, but rather roams far and wide high in the water column. Big schools of spotted bass will follow schools of bluebacks, suspending under them and feeding up. Storm’s Rattlin’ Saltwater Chug Bug is a bit longer and heavier than a freshwater Chug Bug. But both models are tail-weighted to enable long casts and feature a spitting, darting and chugging action that perfectly imitates fleeing, panicking baitfish. Palaniuk’s best bait on Chatuge was a Storm Arashi Top Walker. It attracts bass from afar with a long-glide/walk-the-dog action, a powerful wake and a multiple-rattle sound. They feature four bearings that broadcast a variable-pitch frequency, mimicking the sound of schooling baitfish. In clear water like that in Lake Chatuge, Palaniuk fishes a Top Walker “extremely fast,” he said. “Because those fish, they’re sight feeders and moving that bait helps me get more strikes,” he explained. Key in Swindle’s 2nd-place finish on the Sabine River system was a finesse game reliant on VMC Stand-Up Shaky Head Jigs and VMC Sureset Drop Shot Hooks. The Sabine system challenged anglers with brackish water (a mix of seawater and freshwater), tidal water-level fluctuations, and a population of more small bass than big ones. Additionally, conditions were uncomfortably hot for man and bass alike. Water temps were in the 90s for much of the tournament. Drop-shotting with a 1/0 VMC Sureset Drop Shot Hook, Swindle caught and landed a 6-pound Sabine stud. A 4 ½-pounder came on a 3/16th oz. VMC Stand Up Shaky Head Jig in the same area. Swindle, Palaniuk and DeFoe each caught key Sabine bass on a Rapala BX Brat. BX Brats boast a balsa-wood core encased in a brawny hard-plastic shell. That allows you to bounce ‘em off hard cover and structure without getting beat up a bunch or hung up often. And like all Rapala balsa baits, BX Brats float up and back out of cover well, minimizing snags. To fish a BX® Brat most effectively, bang it into shallow cover like rocks, downed trees and dock posts. Cast it as parallel to the shore as you can and ensure it makes bottom contact throughout the majority of your retrieve. Retrieve it directly into and over whatever heavy cover you can find. By the time you determine bass will only eat one bait, it won’t be long before they begin ignoring it and eating something else – especially in multiple-day fishing tournaments on small, heavily pressured waterbodies. So it’s best to rig up some “Plan B” baits and reach for them at the right time. Wheeler did just that on Chatuge, switching to a Rapala Shadow Rap Deep after catching most of his fish on his Chug Bug. With so many anglers throwing topwaters at the same schools of spotted bass, the fish eventually grew wary of them, Wheeler says. That’s why he started throwing a Shadow Rap Deep in the Ghost Shiner color pattern. This entry was posted in News, Rapala, Storm, Terminator, VMC. Bookmark the permalink.